Paper Hearts is one of those stories that just makes you smile from the inside out. This book is everything I look for in a novel. Filled with raw emotion, quick wit, genuine characters and an engaging plot, Claire Contreras has blown me away once again. Falling in love with Mia and Jensen was effortless. There was a sense of timelessness to their love that had me hooked from the beginning and kept me completely invested in this couple. As much as I adored each character individually, there was something about them together that just clicked for me. These two felt fated in a way that had me riding their emotional rollercoaster all the way to the end and loving every thrilling, frustrating, heartbreaking, and hopeful minute of it. I was also excited to see some old friends who filled out this story, giving it a sense of family that made Mia and Jensen’s journey that much sweeter. I couldn’t have imagined a better addition to the Hearts Series, which seems to just get better and better with each new addition. Claire Contreras had her work cut out for her with Jensen. After reading Torn Hearts I really wanted to give him a good shake and yell at him for being such an idiot. I wasn’t sure how he would redeem himself, but Claire did not disappoint. Along with being easy on the eyes, Jensen was creative, driven, and incredibly talented, all of which paled in comparison to his sweetness, dedication, and fierce love. After seeing Jensen as a young man, the grown up version was even more breathtaking. Jensen had me swooning hard, his flawed decisions turning him into the kind of man who knows how to truly value the people in his life. The way in which he cared for Mia and Olivia and his refusal to lose Mia again filled my heart with all of those warm and fuzzy feelings. After seeing all the ways in which he kept Mia in his heart during their time apart and watching him with Olivia, he had won a spot in my heart and there was no turning back. I quickly found myself addicted to Jensen’s sweet words, emotional vulnerability, and the way in which he loved so unapologetically. Claire Contreras also created a rare gem with Mia. Mia’s growth as a character was absolutely stunning. Claire took a girl with a broken heart and big dreams and allowed her to spread her wings, only to find herself rooted to the past. So much of this book was a war being waged between her heart and head and I have to say, my own heart ached for her. The emotional weight of Mia’s journey and the internal struggle she faced was poignant and something readers could definitely relate to. I felt Mia’s journey all the way through, understanding her fight to forgive and her reluctance to open herself up. The constant conflict Mia battled gave this character credibility, demonstrating the rocky road to forgiveness and the fragility of trust and hearts. By the time this book was over, it was evident how much Mia had grown, her decisions a strong reflection of her maturity and life experience, leaving me in awe of her beautiful transformation. Paper Hearts was something truly magical. 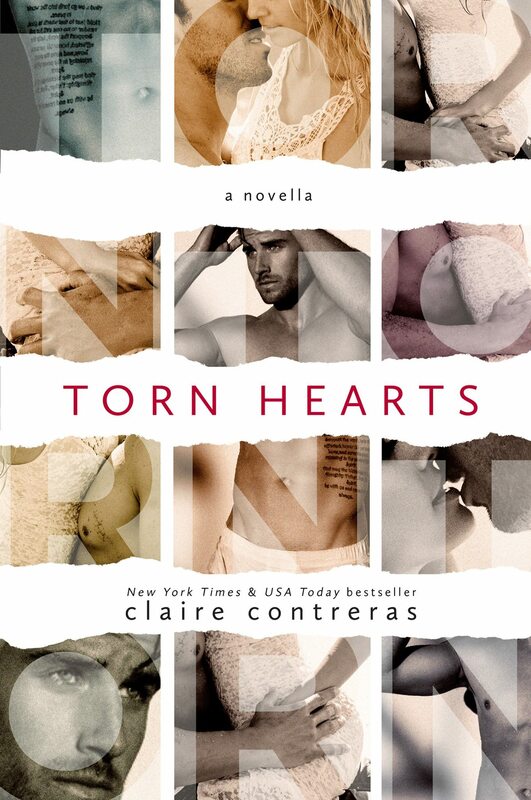 Claire Contreras had me grinning from beginning to end, even when things got a little (or a lot) rough. The emotional intensity of Mia and Jensen’s journey was perfectly balanced with their obvious flirtation, undeniable sexual tension, and snarky conversations. This couple had a chemistry that was not only uniquely theirs, but that made evident their foundation as best friends. Mia and Jensen had an ease about them that drew me in, ensuring I felt like a part of their story and keeping me captivated from start to finish. Making my heart break and soar, race and skip a beat, Paper Hearts was one of those books I just couldn’t put down. 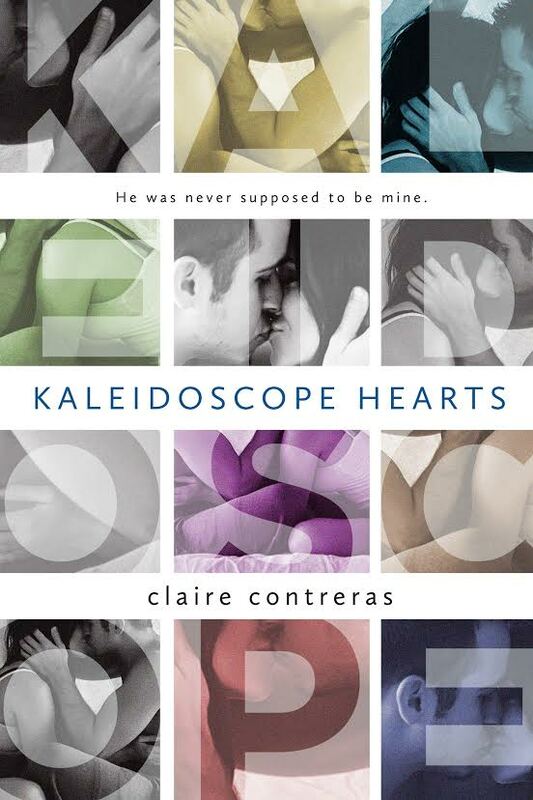 Claire Contreras continues to out-do herself, showcasing her limitless talent with another phenomenal novel. Once again this author has enchanted me with her meaningful prose and extraordinary grasp on the human heart. Paper Hearts delivers a second-chance at love that is not to be missed. Gahhh! Claire Contreras has such a special quality in her writing that I have witnessed throughout this series. She attracts you with those gorgeous covers, but stuns you with what is found inside the pages. This is an author who is able to pull readers into the story and make them feel at home with the characters. Paper Hearts was heartfelt yet heartbreaking, and I can’t even describe how much I loved every single second of the experience. I knew that Mia and Jensen would take me on a ride from what I witnessed in Torn Hearts, but I don’t think I quite prepared myself for what I found. I was waiting for a turn of events with Jensen, but I was pleasantly surprised that the original twist wasn’t just used for effect or drama. It was integrated into the story seamlessly and heightened every emotion through these characters. Mia is this strong-headed, passionate person that breathed life into my soul the more I read her point of view. The way she sees the world is beautiful and special, and you can’t help but walk away a changed person after having “met” her. I loved Jensen’s tenacity and fierceness. He knew what he wanted and wasn’t afraid to go after it. Whether it was the awkward tension, the sexual tension, or the love and happiness, I felt everything as a reader. 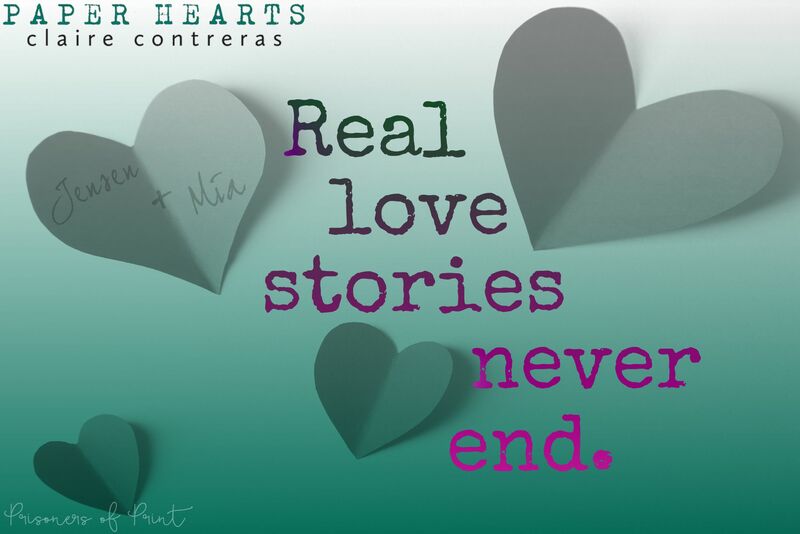 Contreras breathes life into these two characters and the relationship they share, which resulted in a special read. I think my favorite thing about Paper Hearts was the unique nature in which it was delivered. We got Jensen’s point of view, but it was in a completely different way than I have seen done. Rather than deliver inner dialogue or his actions, they were his newspaper columns. It left me feeling like the emotions and his experiences were so much more raw and heartfelt. Mia and Jensen’s journey felt special and I loved that Contreras didn’t feel the need to add drama for the sake of a story. Their love was passionate, consuming, but so incredibly real, and the writing really reflected those notions. While Paper Hearts can be read as a standalone, I highly suggest starting this series from the beginning. 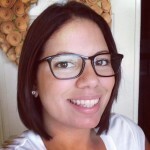 Contreras is a one of a kind writer who infuses so much into her stories. 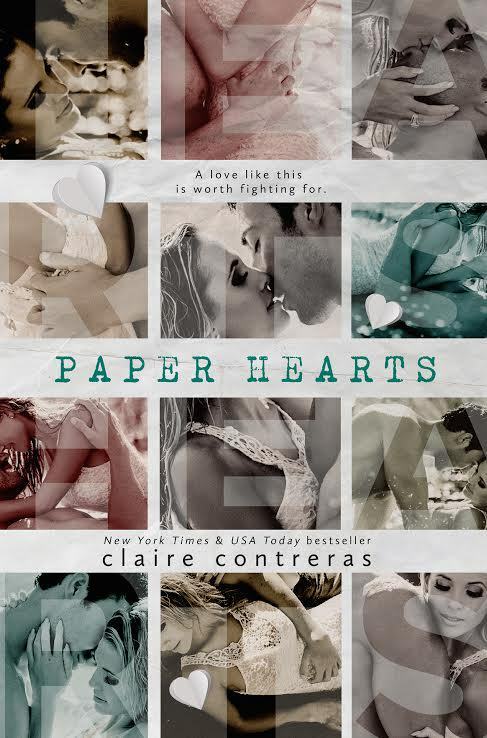 Paper Hearts was no exception and I absolutely adored every single second of it. From visiting with old characters to getting to know new ones, it was perfection. This novel is, without a doubt, one of my top favorites of the year. If you haven’t clicked yet, I highly suggest you do! 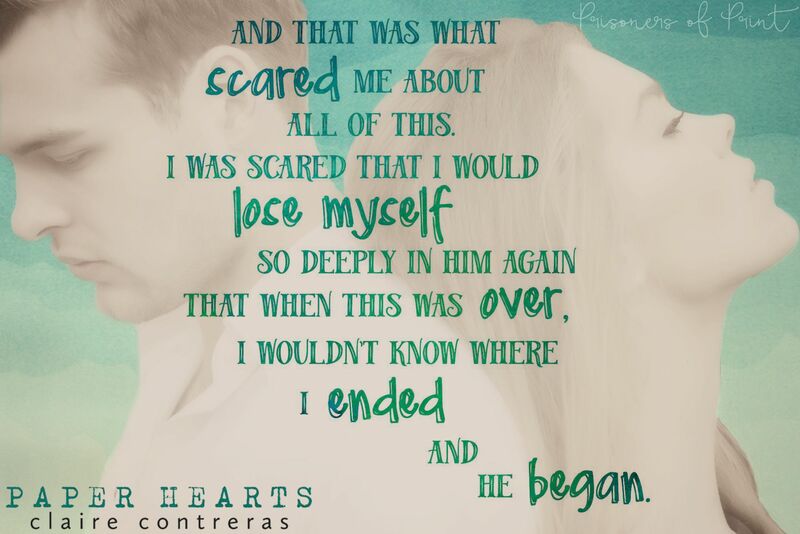 Click HERE to read the Prologue and First Chapter of Paper Hearts!